Jones was released by the Vikings on Friday. Analysis: This is no surprise given his recent legal woes. Jones was arrested Tuesday on probable cause of felony theft and misdemeanor domestic assault. He was already facing a four-game suspension to start the season for a violation of the NFL's policy on performance-enhancing substances. Jones was arrested Tuesday on probable cause of felony theft and misdemeanor domestic assault, Ben Goessling of the Minneapolis Star Tribune reports. Jones (suspension) had two receptions for 23 yards on three targets in Saturday's preseason loss to Jacksonville. Jones could be a leading candidate to make the roster after a strong training camp, ESPN 1500 am Twin Cities reports. Analysis: Jones will miss the first four games of the regular season due to a suspension for violating the NFL's policy on performance-enhancing substances. He could win the third receiver role after the suspension as the job battle looks wide open, but it may take him awhile to work his way into the offense after missing time. Jones has been suspended for the first four games of the 2018 season for violating the NFL's policy on performance-enhancing substances, the Pioneer Press reports. 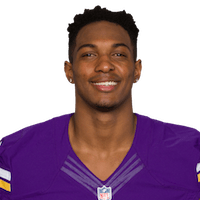 Analysis: Jones, who was on the Vikings' practice squad last season, will be permitted to compete in all of the team's offseason and preseason practices, as well as exhibition games. Once eligible to return from his suspension, Jones' roster prospects will hinge on the health of the team's wideout corps at that juncture. There are no videos available for Cayleb Jones. Click here to view all videos.